Paul Agnew was acclaimed in operas by Rameau (Les Fêtes d’Hébé, Les Boréades, Les Indes galantes), Charpentier (Médée, Actéon), Handel (Acis and Galatea, L’Allegro, il Penseroso ed il Moderato) and Purcell (King Arthur, Dido and Aeneas). In 2007, Agnew’s career took a new turn when he began conducting certain projects for Les Arts Florissants. He made his début as guest conductor with a program of Vivaldi’s Vespers, performed at the Cité de la musique, the Théâtre de Caen and the Konzerthaus in Vienna in January 2007. Among subsequent notable programs were Handel’s Odes and Anthems, and, the following year, Lamentazione, a concert of Italian Baroque polyphony which would became his first recording as Associate Conductor of Les Arts Florissants. In 2010, Agnew conducted Les Arts Florissants once again in Purcell’s The Indian Queen. He then undertook the complete cycle of Monteverdi’s madrigals, a project for which he conducted nearly 100 concerts throughout Europe until 2015, and recorded for harmonia mundi "Mantova" (2014), "Cremona" (2015 – Gramophone Award 2016 in baroque vocal category) and "Venezia" (to be released in 2017), an anthology of madrigals from Monteverdi’s eight books. 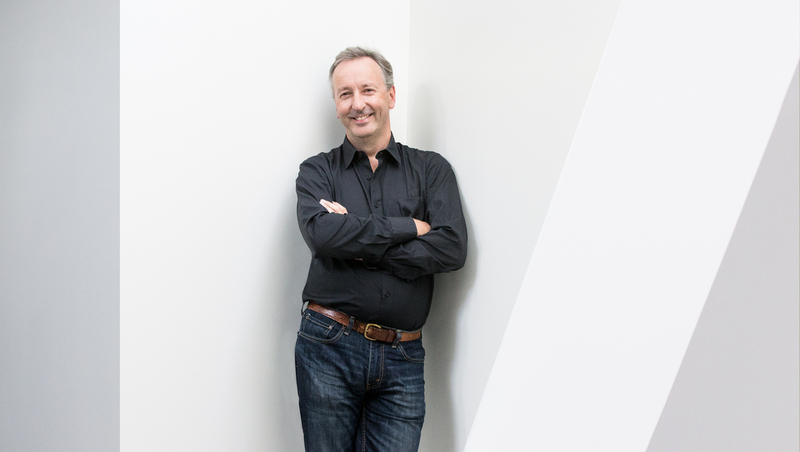 In 2013, Paul Agnew became Associate Musical Director of Les Arts Florissants. Since then he has conducted the Ensemble in the reprise of the ballet Doux Mensonges at the Opéra de Paris and in the new production of Platée, which was performed at the Theater an der Wien, Paris’s Opéra Comique and New York’s Lincoln Center. He also conducts conduct Les Arts Florissants in five different programs: “Les maîtres du motet français” (Sébastien de Brossard and Pierre Bouteiller); “Cremona”, and “Mantova”, selections of madrigals from Monteverdi’s first books; “Women in Love”, a program on the theme of feminine amorousness as seen by Monteverdi and his contemporaries; and the international tour of “In an Italian Garden”, the latest edition of Le Jardin des Voix. The 2016-2017 season is marked by various important projects as part of the celebration of Claudio Monteverdi’s 450th anniversary, notably a new production of L’Orfeo, whose artistic direction Paul Agnew Will assume at the Théâtre de Caen, the Musikverein in Vienna, the Opéra royal de Versailles, the Teatro del Canal in Madrid and the Philharmonie de Paris. The creation of a spring festival in the churches of Vendée, under the direction of Paul Agnew, will be another highlight of this rich season. Agnew is co-director of Le Jardin des Voix, Les Arts Florissants’ academy for young singers. This interest in the training of new generations of musicians has also led him to conduct the Orchestre Français des Jeunes Baroque on many occasions, as well as the European Union Baroque Orchestra. In 2017, Paul Agnew will direct the European baroque academy in Ambronay. Dedicated to musical education for all, and especially the youngest, he devises educational concerts too, such as Monsieur de Monteverdi and La Lyre d’Orphée. He has also conducted several concerts with orchestras using modern instruments: the Liverpool Philharmonic Orchestra, the Royal Scottish National Orchestra, the Norwegian Chamber Orchestra, the Finnish Radio Symphony Orchestra, the St. Paul Chamber Orchestra (Minnesota), Music of the Baroque (Chicago) or the Staatsphilharmonie Nürnberg, which he conducted in 2016 for Rameau’s Les Indes Galantes stage directed by Laura Scozzi at the Nürnberg Opera House.